I have been a profession embedded programmer for "a few" decades. Eclipse is what I have always used, in industry, when developing under Linux. There are probably others, some may even be "better" - if you list some requirements - but Eclipse has been "good enough" for every company I have ever worked for. The NetBeans IDE was originally built for Java, like Eclipse. But now offers C and C++ development as well. 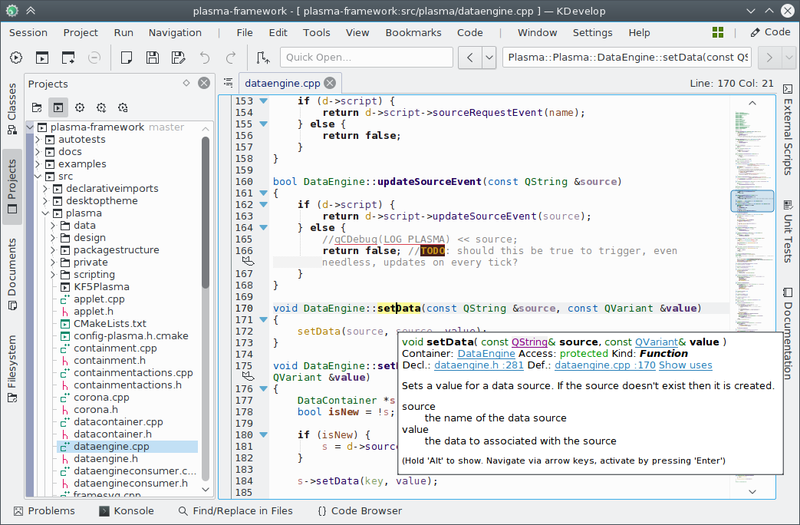 NetBeans is a huge tool, like Eclipse and CLion/IntelliJ, with more features than you’ll ever know. Open-source and free-of-cost. Formerly owned by Oracle, now donated to the Apache Foundation. CLion is an IDE for C and C++. Has countless features. Designed to be “ergonomic”, meaning wisely designed to be highly productive and useful for daily use by professional developers. Built by one of the finest creators of programming tools, JetBrains, most famous for their industry-leading IDE for Java (IntelliJ). Not the answer you're looking for? Browse other questions tagged ubuntu c ide programming or ask your own question. What's a good IDE to use for Java? What IDE/Plug-Ins would be appropriate for using Verilog?